At first, we weren't sure there would be enough to talk about, but as soon as Halford started explaining the history, sociology and cultural impact of the record, it was clear that the show would be all killer, no filler. 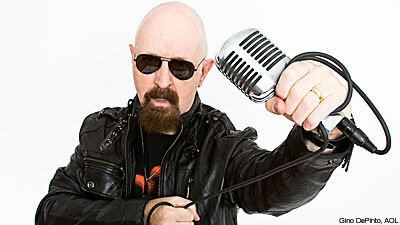 Interviewing Halford for the podcast were Revolver senior writer and Noisecreep regular Jon Wiederhorn, Noisecreep lead blogger Amy Sciarretto, 'Nights with Alice Cooper' syndicated radio show producer Katherine Turman and New York concert promoter Rich Hall. 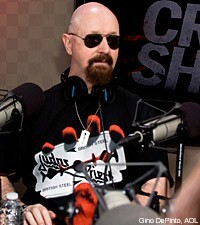 In addition to discussing the unorthodox way in which Judas Priest recorded 'British Steel,' Halford talked about what it was like to work at Tittenhurst Park, the home once owned by John Lennon, why 'Breaking the Law' was the first song on the American edition of 'British Steel' but not the European release and the immense influence of the album, which remains as relevant today as when it was released. 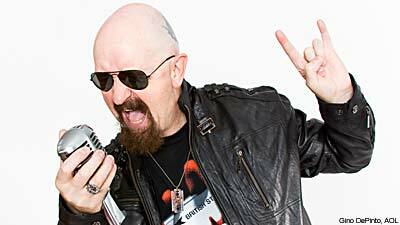 Halford also mentioned how pleased he was to finally receive a Grammy Award and what it was like to attend the illustrious event -- and he hinted at what Judas Priest might do to celebrate the 30th anniversary of their second most heralded album, 'Screaming for Vengeance,' in 2012.